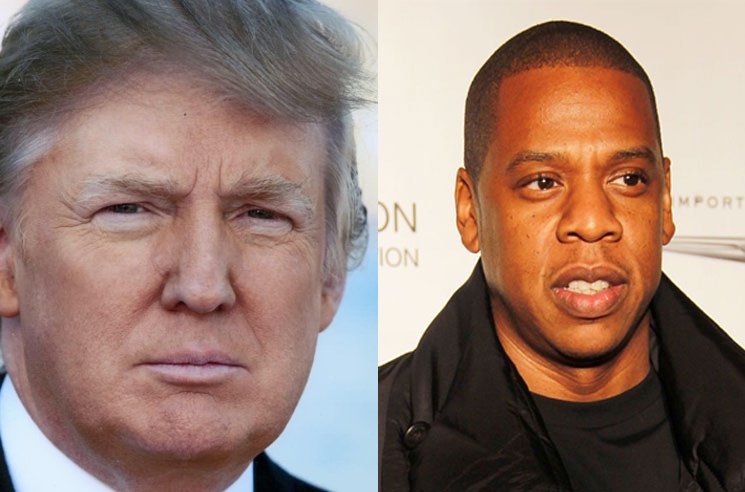 Everybody loves a good rap beef, and here's the latest: JAY-Z is feuding with Donald Trump. The war of words got started yesterday (January 27) on CNN's The Van Jones Show, when JAY-Z discussed Trump's controversial "shithole countries" comment and called it "disappointing and hurtful." He then discussed the social sickness of racism and described Trump as the "super-bug" that results from that suppressed racism. This isn't Trump's first music feud since taking office. Last year, he blasted Snoop Dogg for comedically portraying the president's assassination in a music video. Before that, Trump struck up a brief friendship with Kanye West before that went sour. Meanwhile, JAY-Z is up for a pile of Grammys tonight. Knowing Trump's television habits, there's a good chance that he's watching and rooting against the rapper.